Government is joining hands with different sectors of society to help lessen the effect of high food prices. 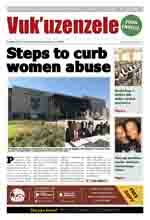 One way of doing this is to encourage all South Africans to start growing food for the future. Government made a commitment to help fight high food prices at a two-day food conference in July. More than 5 000 people attended the conference. They represented government, civil society, non-government organisations, community-based groups, representatives of farmer unions, municipalities and the private sector. One way of helping people to start their own food gardens, is by strengthening partnerships with community organisations. To help poor households, government will also strengthen its Integrated Food Security Programme. This will include giving seeds and fertilisers to community and back yard farmers. Communities or households wanting to extend their food gardens to larger pieces of land, or to farm commercially, will get help in the form of funds and training in farming skills. 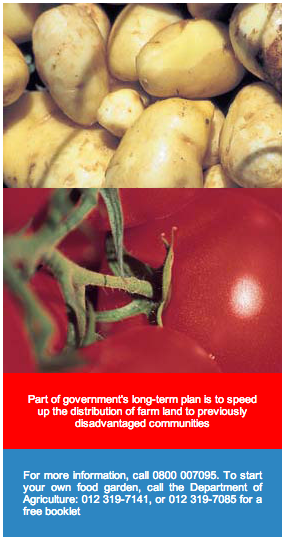 Government's Food Security Programme is not only a shortterm plan, but is also designed for the future. Part of the longterm plan, is to speed up the distribution of farmland to previously disadvantaged communities. Government will not only help new farmers with skills training, but will also make it easier for them to access markets. For example, provincial and national food banks will be started as markets where they can sell their products. For poor households, the food banks will be places where they can buy cheaper food. To help keep the cost of basic foods low, no value added tax (VAT) is charged on certain items. These items are called zero-rated foodstuffs. They include brown bread, maize meal, samp, mealie rice, dried mealies, dried beans, lentils, milk and milk powder, rice, vegetables and fruit, tinned sardines and pilchards, vegetable oil and eggs. 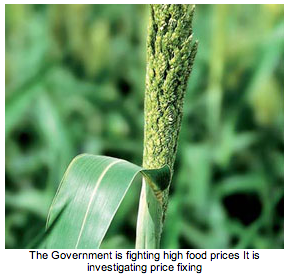 Government's plan to fight high food prices also includes investigating incidents of price fixing. Price fixing is when large organisations agree to fix prices at a higher level thereby charging consumers too much. Those found guilty of price fixing will get heavy fines. The money from such fines will go towards helping poor communities.